Written by Gregory on Nov. 24, 2017 in Business. I've been a judge for the Independent Games Festival for at least six years. It's been an amazing time to have free access to the best works in independent gaming. The IGF has evolved a bit during that time; the grand prize winner in 2011 was Minecraft. The 2016 winner was Quadrilateral Cowboy. The vast majority of my time as an IGF judge has been in a post-Minecraft world, where developers knew that there was the potential for their tiny one-person indie game to be bought by Microsoft. Being a judge is very different than being a jurist. Almost 600 entrants submitted to the IGF this year, which is too many for any small group of people to review and discuss. Instead, the IGF folks recruit a practical army of people from the games industry to evaluate the heap of works submitted to the festival. We're each randomly assigned a collection of games to recommend, with the festival requesting we review at least 15 of them. We can recommend each game to as many categories as we want, providing notes for each category on why we think the game should be considered for that award. The jurists for each award read the recommendations, pick finalists, and make a decision of a winner from there. One of the interesting things about the IGF is how diverse it is. You're judging everything from a student project clearly submitted as a class assignment to a polished, high-budget work done by 20-year industry veterans. You get stuff so weird and experimental that you can't understand it and stuff that's so hackneyed and uninspired that you wonder why they even bothered to submit. There are phone games, desktop games, console games, and games that require rare hardware like a Nintendo Switch devkit. Notable among all those is the high number of VR games, at a time when most of the judges still don't have a VR headset. Not only that, but often they're multiplayer VR games. Imagine trying to arrange a bunch of people with VR headsets to play a multiplayer game that hasn't even been released. There's been one year since I started judging that I didn't serve as a judge. 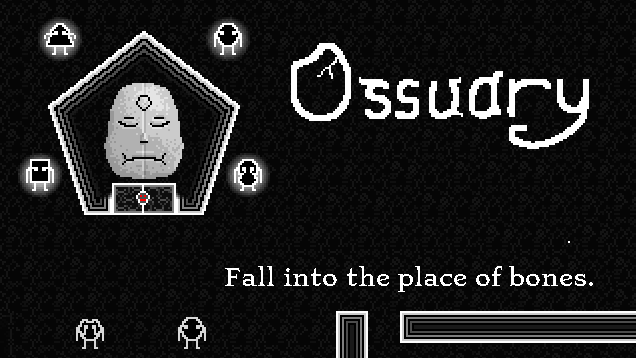 That would be the 2015 IGF, to which we submitted our game Ossuary. 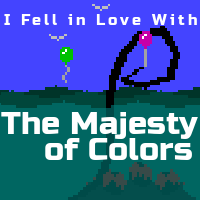 It's weird having been a judge and also submitting a game. I couldn't help but imagine what I would think finding this game in a crowd of hundreds and giving it an hour or two. Regardless of how each individual judge received our game, I'm not too bummed. That year, the winners were Outer Wilds, Tetrageddon, Metamorphabet, Ephemerid, 80 Days, Close your, and This War of Mine. An impressive list of games to lose to! The category we thought Ossuary had the best chance in was Excellence in Narrative, and to know that the winner was the amazing 80 Days, beating out Ice-Bound and PRY, among others, makes the loss sting quite a bit less. Judging the IGF is fun, challenging, and inspiring. If you work in games and it sounds like something you want to do, good news! Each year they send out a call for judges, so keep an eye out around summer next year and you can put your name in as long as you're involved in games in some capacity. I look forward to seeing you in the discussions! Last update on Dec. 3, 2017 .